We’re now just two short weeks (and some change) from the seventh season return of The Venture Bros., as Adult Swim gets ready to revisit its world of washed-up superscientists, man-children villains, and overly bureaucratic evil. Also a billion more David Bowie references, as made clear in the show’s new Comic-Con trailer today, which sets itself to “Scary Monsters (And Super Creeps)“, about as fitting an anthem as this particular show is ever likely to get. As usual, we have no real idea what’s actually happening here, but dang if we aren’t excited to see it. Treaties of Tolerance, devil’s concubines, and even the sight of Hank getting somewhere in the vicinity of second base? Who says this is a show that’s exclusively about failure, huh? 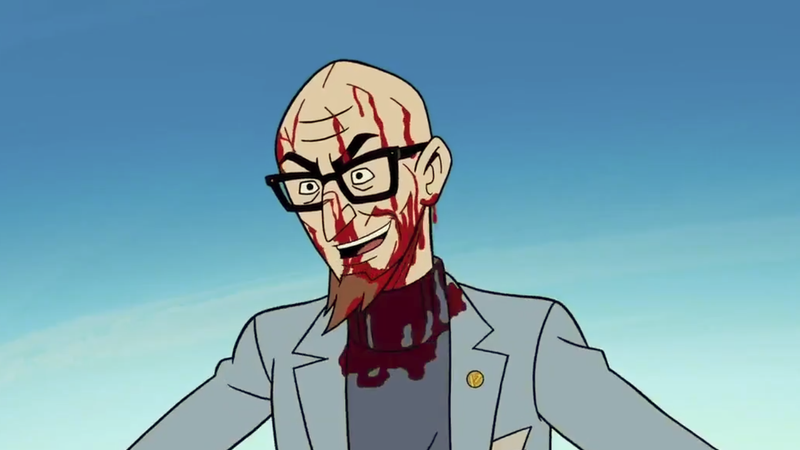 The Venture Bros. debuts on Adult Swim on August 5.